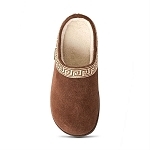 No matter the width of slipper you’re looking for, Old Friend has the fit for you in either medium or wide width – the search for a perfectly fitted slipper or moccasin is over! 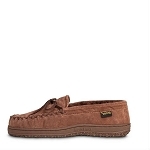 These moccasins will ensure that your feet are extremely comfortable without having too much or too little room. There’s nothing worse than finding a cute pair of shoes only to have them be too tight or loose – luckily that will no longer be an issue for you. 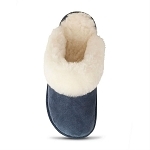 Old Friend women’s slippers come in a variety of colours and styles to suit just about anyone, including you and every other lady on your shopping list. With an abundance of looks, your outfit will always be finished with the perfect pair of booties. 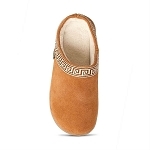 Just take a look for yourself at our selection of over 40 Old Friend ladies’ slippers and loafer moccasins and you’ll find so many pairs that you should be set for the entire year, no matter the season. Find your ultimate comfort!